The sheet is limited to 500 numbered copies. 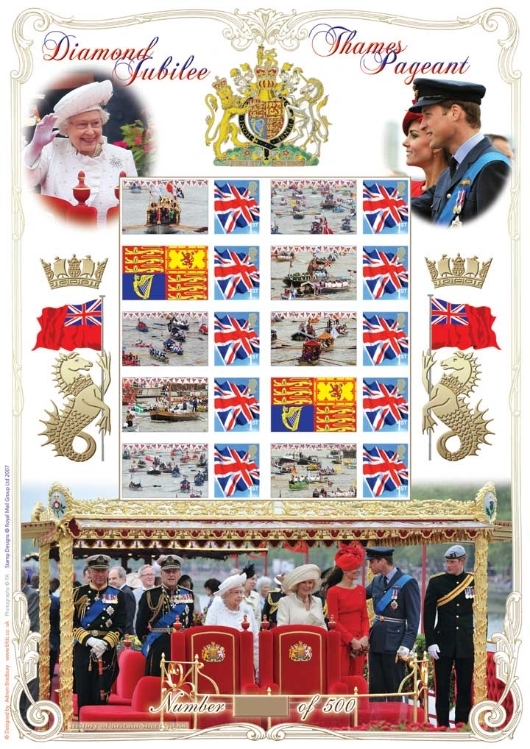 This sumptuous sheet features images from the Thames Diamond Jubilee Pageant which took place on Sunday 3rd June 2012 to celebrate Her Majesty's 60 year reign. Over one thousand boats took part making it one of the largest flotillas ever assembled on the Thames. The flotilla mustered between Hammersmith and Battersea and sailed under thirteen bridges along its route.